Mon., June 4, 2018, 9:57 a.m.
WASHINGTON – In mid-September, the Environmental Protection Agency administrator’s director of scheduling and advance, Millan Hupp, contacted the Trump International Hotel in Washington with an unusual request. 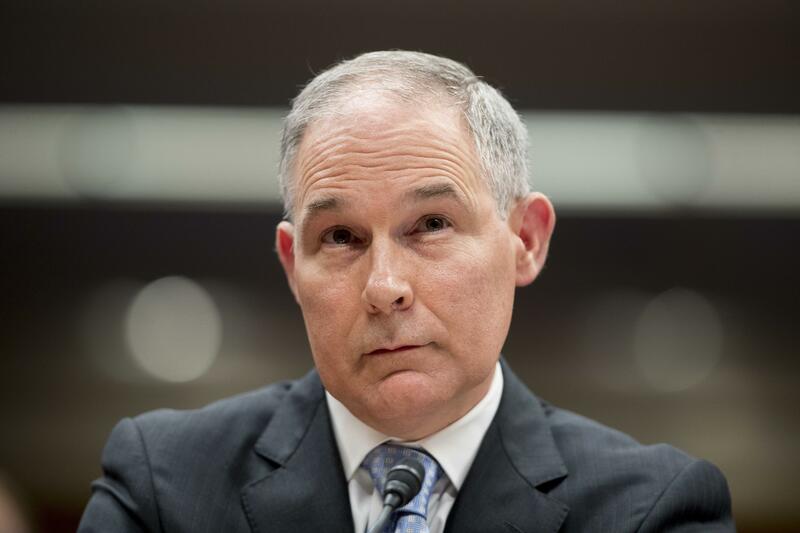 Hupp wanted to know how much the hotel would charge EPA chief Scott Pruitt for purchasing one of its used mattresses. Hupp’s search for a discount “Trump Home Luxury Plush Euro Pillow Top” mattress, which she detailed in a recent interview with congressional investigators, was one of several unusual tasks she performed for the administrator. The senior EPA official also scouted apartments for her boss in some of the Washington’s hippest neighborhoods and helped arrange his family vacation to California over the New Year’s holiday so that the Pruitts could watch the Oklahoma Sooners play in the Rose Bowl. Pruitt’s push to enlist a subordinate in his quest for cheap bedding – outlined in a letter Monday from two of the top Democrats on the House Oversight and Government Reform Committee, Elijah Cummings of Maryland and Gerald Connolly of Virginia, to the panel’s chairman, Trey Gowdy, R-S.C. – was one of several efforts he has made to minimize his personal expenses since moving to Washington. Last year he instructed aides to arrange work-related trips in August so that he could either be on the road or working from his home in Tulsa, Oklahoma, according to two former EPA employees, rather than pay for an apartment rental in Washington that month. The Oversight Committee is conducting a probe of several spending and management decisions Pruitt has made since taking the helm of the EPA, including his decision to travel first-class as a security precaution until earlier this year and an unusual rental arrangement he struck with a Washington lobbyist early last year, in which he paid $50 a night to stay at her Capitol Hill condo for nearly six months, but only on the nights when he slept there. Hupp described her work for Pruitt on an array of personal tasks, including booking non-work flights with his personal credit card, during a closed-door interview with Republican and Democratic aides from the House panel on May 18. Hupp said that she recalled that Pruitt “has spoken with someone at the Trump Hotel who had indicated there could be a mattress he could purchase, an old mattress he could purchase,” and that the administrator “had expressed interest in securing a matter” to her. While staffers at the Trump International Hotel, located just yards from the EPA headquarters, make it possible for guests to buy Trump-branded furnishings, it does not appear to sell used mattresses. A receptionist last week referred a Washington Post reporter to Tempur-Sealy corporate offices, which sells the same ones on offer at the Trump Hotel by mail order. A standard queen mattress, without a box spring or any other accompanying items, costs $1,399 before tax and shipping. A standard king mattress costs $1,750. Published: June 4, 2018, 9:57 a.m.